Despite your best efforts and meticulous care, these cunning and versatile creatures can maneuver their way into your home. Once they are in, it can be quite the challenge to get them out, especially when they are so adept at staying out of sight and even better at multiplying. Calling a professional bed bug exterminator is the best thing to do, however there are a few things that need to be done on your end to make sure the treatment is effective. The following suggestions are highly recommended while you are waiting for the professionals to arrive. How do you go about preparing your home for a bed bug treatment? Wash all fabrics including clothing, bedding, and sheets in hot water and place them in a dryer on the highest setting available that won’t destroy the item. Don’t remove anything from your home that has not been checked and confirmed to be bed bug free. If chemicals are being used secure items that cannot be washed and have been deemed free from bed bugs in plastic bags. 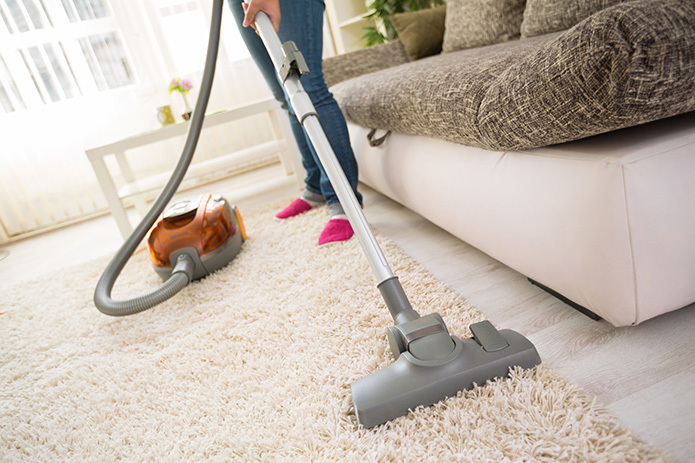 Wash and vacuum the floor space within your home. Doing a thorough job vacuuming is crucial. Heat is an effective way to treat bed bugs and washing all fabrics in hot water and drying them the highest temperature possible can ensure your sheets, bedding and clothing are free from these bugs. Since they tend to cling to items as a means of transportation it is in your best interest to avoid removing items from an infested home and transporting them elsewhere as these insects can be given the opportunity to infest new areas. If any items in your home have been deemed free from bed bugs it is best to secure them in plastic bags and leave them there until treatment has been completed. How long does it take to treat an entire house for bed bugs? The time frame needed to treat your home depends on the size of the room as well as the layout. For example, a room with wallpaper can present a challenge as the bugs can hide in slits and small openings. Carpets can also present a challenge as these insects can seek refuge under the structure. Depending on what type of treatment is being used, a maximum of 2 hours per room (could be less) should be efficient time for adequate treatment. Does my home need to be treated more than once? Ideally, two to three treatments should be conducted in your home. However, some exterminators may only require one or two depending on the technology used. This is a precaution measure to ensure all the insects are killed as it is possible for some to have survived the initial treatment. Can bed bugs survive a cycle in the washing machine? Yes, they can. The heat in a washer is not as concentrated as that of a dryer and therefore it is possible for some to survive a cycle or two in the washer. To ensure all of these insects are exterminated you will need to put your clothes through the dryer on the highest possible temperature. What will happen if I choose not to treat the bed bugs in my home? They will continue to multiply at an unprecedented rate as these insects do not die on their own. They lay up to 200 eggs at a time and can live for months even if they are not feeding. Your preparation before the exterminator arrives to treat your home can ensure the treatment works effectively and decrease the chances of your home becoming re-infested. Hi-Tech Pest Control is Michigan’s #1 bed bug exterminator and is the only Michigan bed bug company to offer a 6-month warranty on all bed bug extermination services! If you think you have been invaded by bed bugs or any other type of pest in your home or business, call Hi-Tech Pest Control. We have been successfully exterminating pests for over 30 years. Call us today for a Free Inspection!